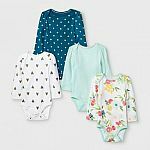 Carters / OshKosh has Up to 80% Off Clearance. Price as marked. Shipping is free with $35 purchase or free shipping to store.